I am WAY behind on editing. Like embarrassingly behind. But I didn’t want that to stop me from printing images for my kids to enjoy. Who doesn’t love giving their images as gifts? This year, each one of my three children received an Artifact Uprising photo book with around 100 images featuring them throughout the year. Like I said, I’m behind on editing and don’t have all our pictures from the past year ready but I realized I could easily pull out some of my favorites for my kids. The best part is I made all 3 albums in about 4 hours! Let me show you how to make a photo book in no time at all. *This post contains affiliate links. Thank you in advance for supporting Click it Up a Notch. I pulled up my 2014 catalog in Lightroom and quickly scrolled through looking for my favorite images of my children through the year. I picked one image from an event if there were multiple I enjoyed. I then used the Keyword option to label which of my children were in the photo. You can find this feature on the lower right hand side of the Library Mode. Create a Smart Collection for each kid. After I found my favorites I set up a Smart Collection for each kid. This is super easy. 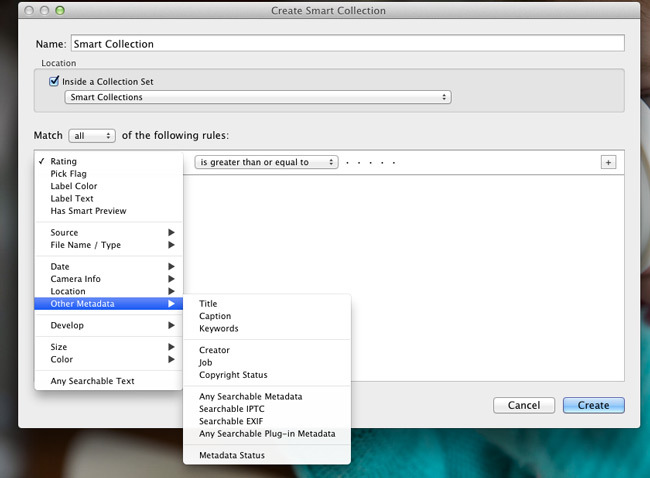 Head over to “Collections”, right click, select “create smart collection”. Once in the settings choose “keyword” and the keyword you used for that collection. 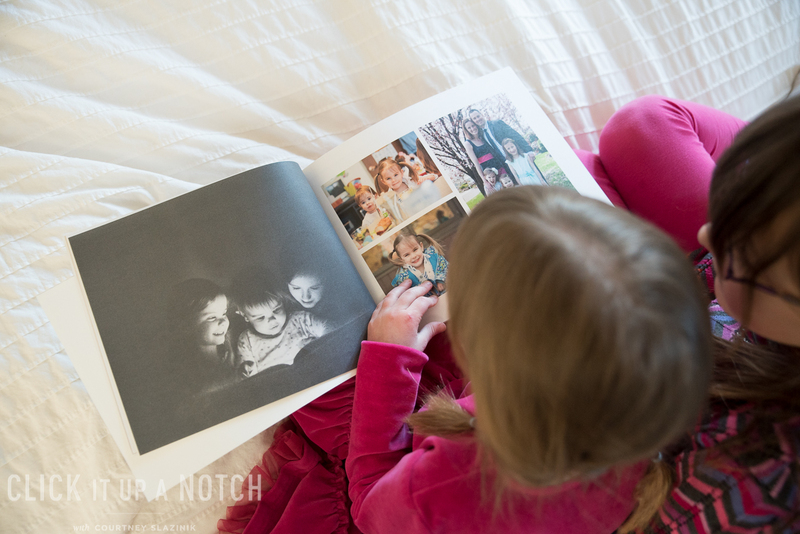 Once I had about 100 images for each of my kids in their Smart Collections, I went through and made any final edits. 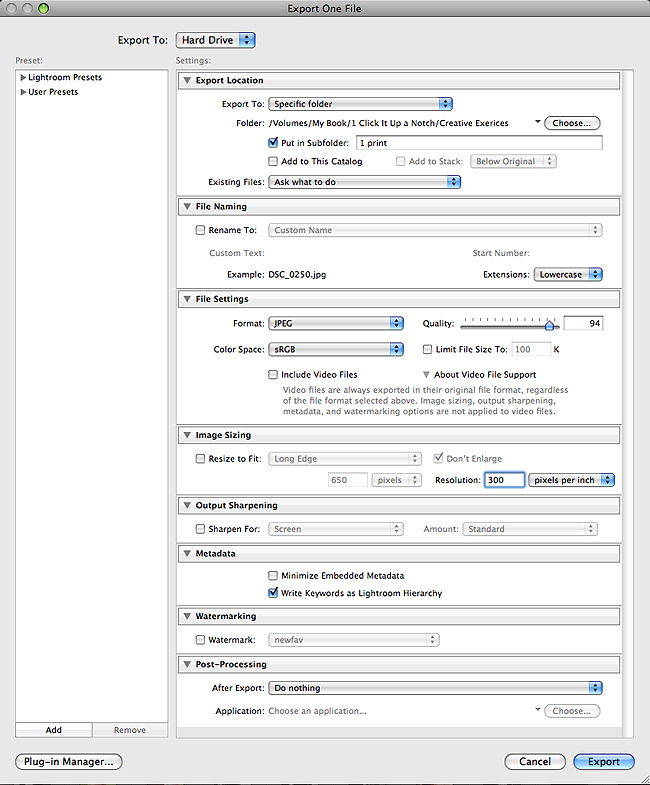 Export all the images for print and place them in one folder so they are easy to find. Break this up. I did one kid per day which was about an hour a day. I had seen Artifact Uprising at a couple of different conferences I went to. 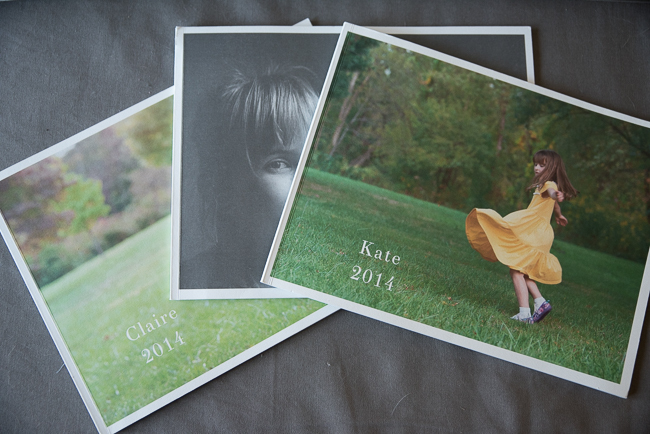 I loved that they are a small company, helping people print their photos and used recycled paper to do it. Using their photo book system, I was able to upload the images from a single folder for a single kid. They have a variety of layout templates but not so many that they are overwhelming. It didn’t take long to drop and drag the images into the book I wanted. I opted not to add words as I wanted to not put too much pressure on myself since I knew it was better to get the book printed then let it hang over my head until I had time to add text to every images. That is it! In 4 hours I had selected, designed, and uploaded 3 photo books. The best part is my kids LOVE the books! They were so excited to see these images they had seen on my computer now in their hands. They have the freedom to look at the books whenever they want. What are you waiting for print your images! My friends at Clickin’ Moms and I are HUGE advocates for printing your images. We have teamed up to encourage you guys to print your images. 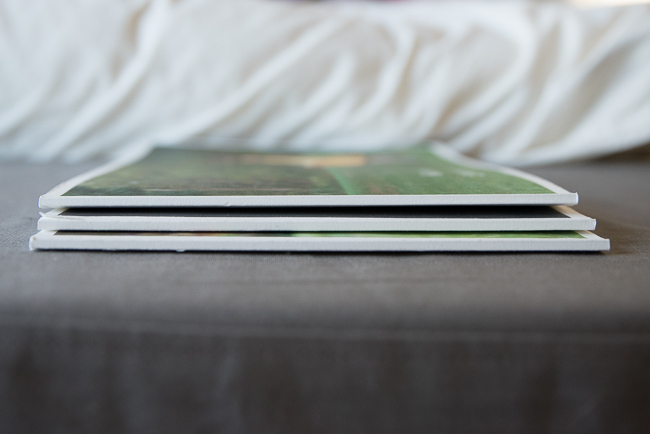 Whether you make a photo book, single prints, or images for your walls, please just get those photos off your computer! If you decide to take on our #projectprint Instagram challenge, simple print your images and post them on Instagram. 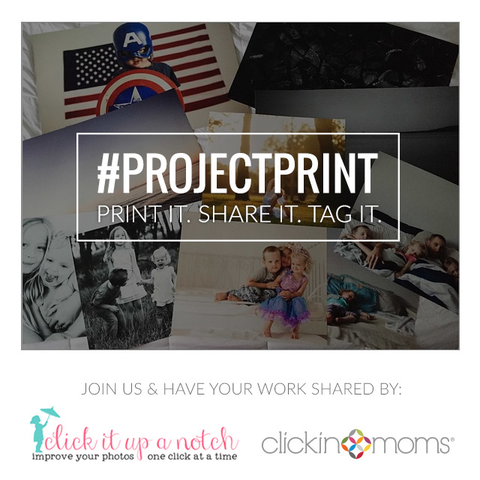 Use the hashtag #projectprint so we can see your work. Both Clickin’ Moms and I will be selecting some people and their images to showcase on our websites in May. I hope you join us in our attempt to get our images off the computer and into the hands of people who will enjoy them. I CAN NOT wait to see your images! Don’t forget to follow @clickinmoms and @clickitupanotch on Instagram. Who is going to join in our #projectprint Instagram challenge? 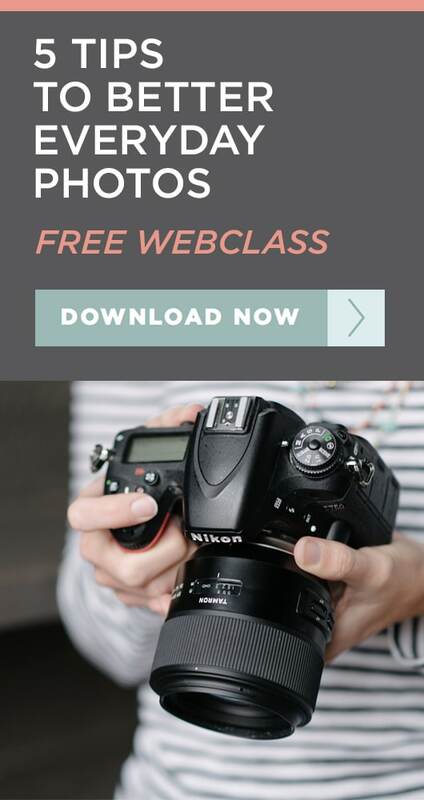 I love this article, but I’m pretty new to all this: what do you mean by lightroom? Is it a program? Thanks! Can you give me a comparison between Artifact Uprising & Blurb? Thanks! Love this!! Great work, Courtney! I have got to try this. Question: how durable are the pages? Do you worry about little ones tearing the books? This was the kick in the pants I needed! Printing photos has been my on my to-do-this-month list for a shamefully long time and keeps getting bumped. Awesome! Can’t wait to see it! Appreciate the inspiration and motivation. Do you do the majority of your editing in LR? My Mentor uses ACR and PS but I think I manage a lot more (personal) images than she does so I’m leaning towards learning LR. Also, would your process for creating a larger, family yearbook be similar to this? I’m trying to get started on one and am totally overwhelmed. Finally, thoughts – Mixbook vs. Blurb? Thanks for the help! Yes, I edit 100% in LR. I would use something similar when I do our family album. I’ll keyword the images and go from there :) I haven’t used Mixbook so I can’t speak for them but I’ve heard good things and Blurb is great. This is such a nice idea. I love looking back at photos from when I was a child, so I would have loved something like this. I’ve been thinking about printing some of my photographs off, and I like the idea of having them as a book rather than single prints. 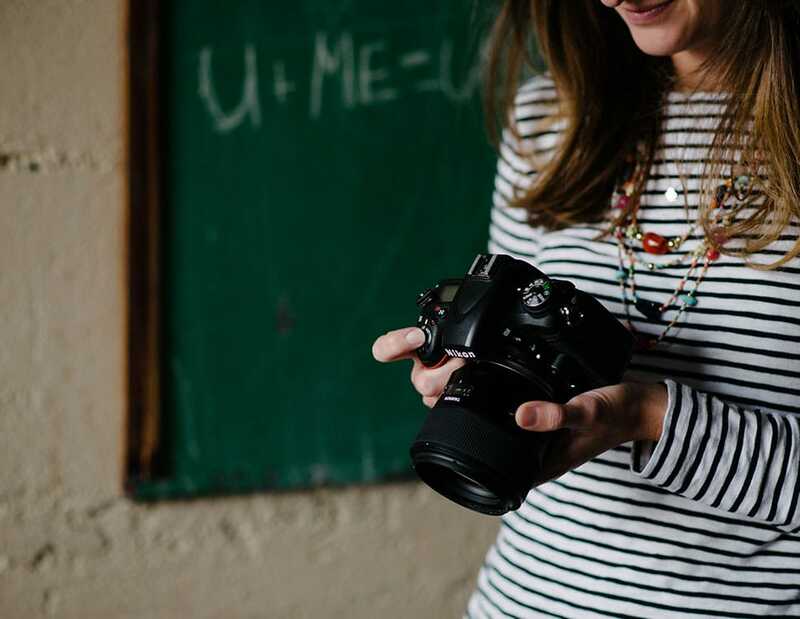 This is exactly what I needed to read – thank you so much for this article, it is very helpful and will hopefully give me the motivation to print some books for my family and kids as I have never done it before and it’s been on my to do list for years. years. years. I hope you decide to do it. Your kids will LOVE them. I love the idea of making a book for each of the kids! I have been making family year books for the last 6 years but they are fairly general since I also give a copy to both sets of grandparents. My kiddos would love to have a book made just for them filled with special little “I love you” notes and memories that they could look through whenever the mood strikes them. Thanks so much for this article Courtney. I use LR everyday but don’t take advantage of these features. Breaking these into manageable steps might make the task of printing my long overdue books less daunting. Thanks Chelsea! Loved the post! Glad you are printing your images. I have a question about that amazing picture of your three little ones reading together–just light on their faces!! HOW did you accomplish this? Smart momtographer! I just realized: I’m a grandtographer. Love the idea of getting images printed and sharing them on Instagram – might be the motivation I need! What is the size of the photo paper that you use?.. And what brand of printer,. God bless,. This is timely as I have a lot of pics from a vacation and wanted to make a book as quickly as possible. I just discovered that Ligtroom 5 allows you to use your photos with a variety of templates and then print with blurb.com. I hope it’s easy to figure out how to do this. Yes, they do have that feature :) Hope you get some vacation books printed! What type of printer is best for printing out photographs, and what type of ink? I have a HP Photosmart 7320, photo black, but regular ink for the colors. I heard that it is best to use a special type of ink for photographs. Do you know if there is that type for my printer? Also, what is the best paper, for long term (years and years) quality of colors? I wish I could answer this but I sent all my images off to a lab to be printed.I don’t print from home. Just curious, what dimensions book-size did you pick for these particular books? Thanks!